I am always on the lookout for recipes to make using peaches. I absolutely love the last few weeks of July and the whole month of August because the peach displays in the grocery store are overflowing and perfectly ripe. So of course I was on board to make a recipe using peaches for Foodie Extravaganza. 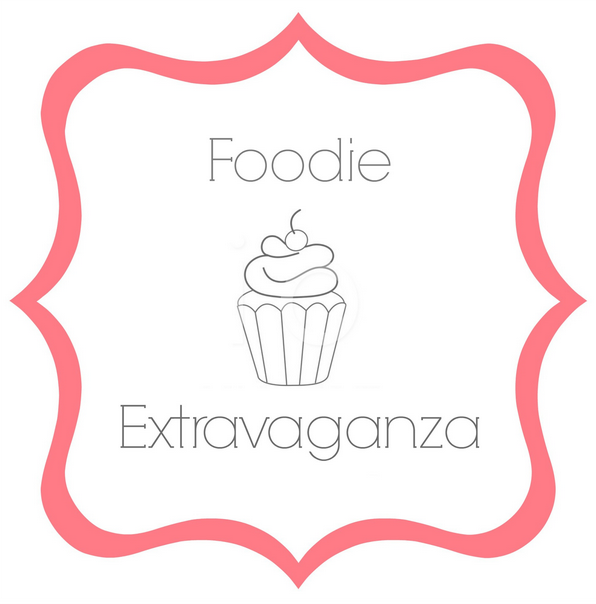 #FoodieExtravaganza is blogging group where a theme is chosen each month from thenibble.com. 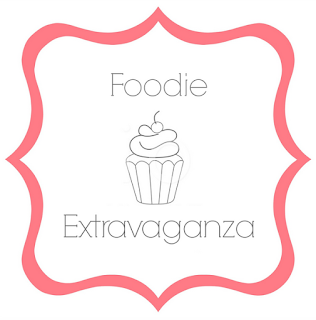 We post on the first Wednesday of every month and bloggers take turns hosting. Our host for this month is Wendy of A Day in the Life on the Farm. When I mentioned needing a peach recipe to my coworker (the same one who suggested adding the whiskey buttercream to the molasses cookies), he said I should make a stuffed french toast. 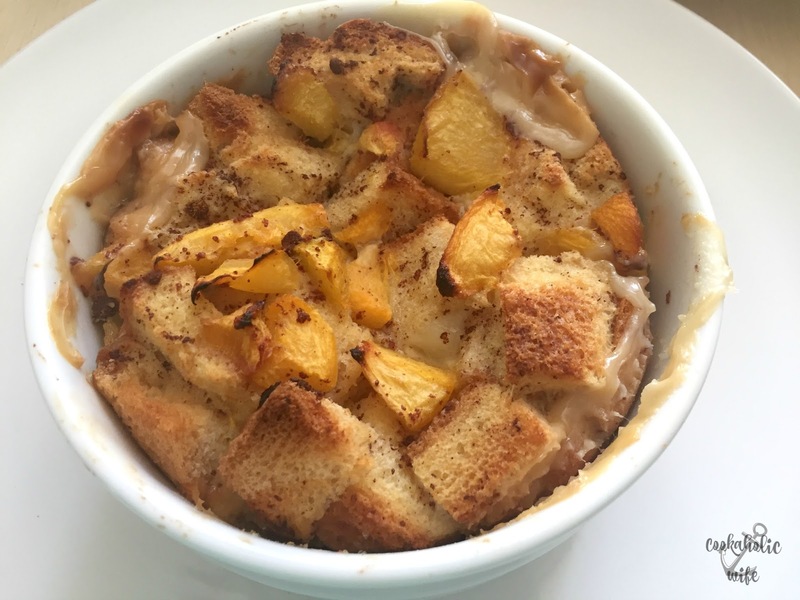 Individual french toast casseroles are full of fresh peaches. 1. Grease 2 8 oz. ramekins with non-stick cooking spray and set aside. Line a baking sheet with foil or parchment paper for easy clean up if the casseroles bubble over. 2. Add cream cheese and sugar to a mixing bowl and beat with an electric mixer until smooth and fully combined. 3. 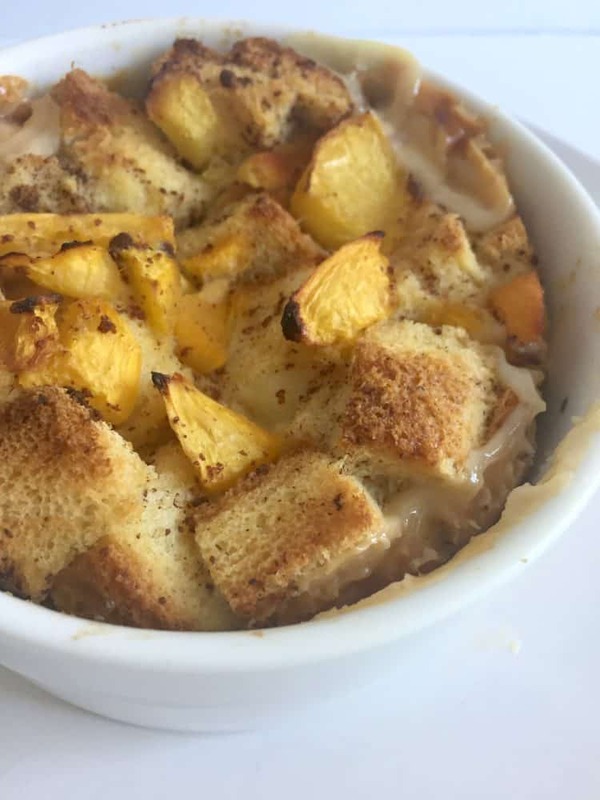 Press a handful of bread cubes into each ramekin and top with ½ cup of peaches in each. 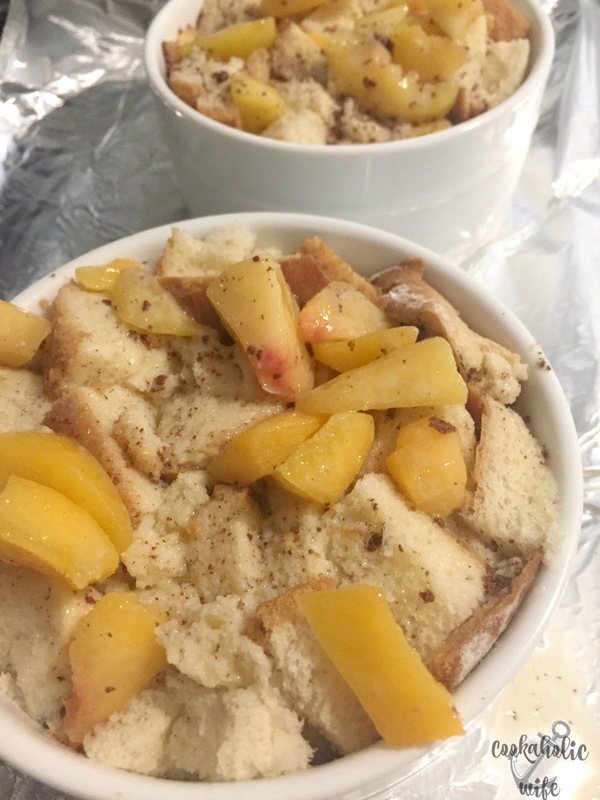 Divide the cream cheese mixture between the ramekins and press into the bread and peaches. Add the remaining peaches and top with the last of the bread cubes. 4. In a bowl, whisk together the eggs, milk and cinnamon. Pour half into each ramekin. 5. Refrigerate for 30 minutes to an hour. Preheat the oven to 400 degrees. 6. Place the ramekins on the prepared baking sheet and bake for 30-35 minutes or until set. Serve immediately. I initially made this as a larger casserole in a 9×13 baking dish to take into my coworkers, but Tom was so upset that I didn’t leave any home for him that I decided to make it again in individual portions. If fresh peaches aren’t available in your area, you can make this using frozen peaches as well. Allow them to thaw slightly before chopping. Yum! Such a comforting way to start the day. So much easier than frying each French Toast individual if prepping for a crowd too. My family would love this. I can't wait to try this, Nichole! So much deliciousness in that dish. This sounds wonderful Nichole. I like that it only needs an hour of refrigeration but could also, easily, be made the night before serving.